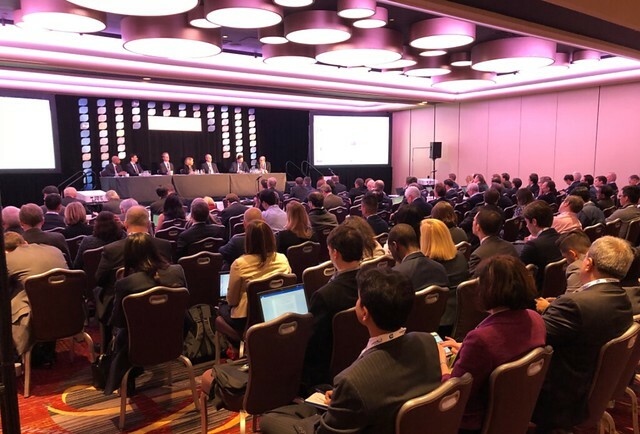 Professionals from all areas of biotechnology convened for the 20th annual BIO CEO & Investor Conference held at New York’s Marriott Marquis February 12th and 13th. Looking for deals, partnerships and collaborations, attendees participated in BIO One-on-One Partnering™, networked, listened and learned during a busy two days. As one of the largest investor conferences focused on established and emerging publicly-traded and select private biotech companies, the event drew an enthusiastic group ready to make deals and find the right partners to move innovation to the marketplace. The key relationship-building was reflected in the 2,700 individual meetings that took place during the conference, scheduled through the partnering system. Things were very busy at BIO’s buzz center where interviews with thought-leaders focused on breakthrough technologies and the investment climate for biotechnology. There was no shortage of twitter activity underscoring the impact of this event. The Conference program offered provocative and thought-provoking sessions on Opioids, China and tax reform. A full recording is available for purchase here.